The Encore E4 Left Handed Blaster Bass Guitar features a twin cutaway body shape which has been carefully dimensioned to be comfortable, ergonomic and balanced. The low mass body provides an open-sounding and resonant chassis with great tone and definition. The E4 Blaster has a maple neck with an overhung 20 fret, 10'' radius rosewood fingerboard, and includes a Guitar Tech split single coil pickup with individual tone and volume controls, allowing you to set the tone you want quickly and easily. 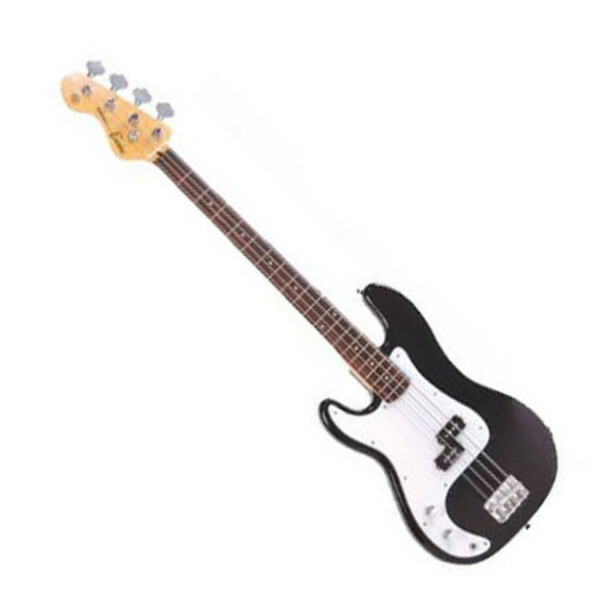 The Encore E4 Blaster Bass is an easy to play guitar with a solid construction and great sound for any musical style, ideal for a first bass guitar or practice at home.